Communities Inc. joined residents of Worksop in celebrating their very first Pride event in the town. The event was organised by LGBT campaigner Crystal Lucas in partnership with Bassetlaw District Council, Centre Place, Worksop Business Forum and many other local groups and businesses. 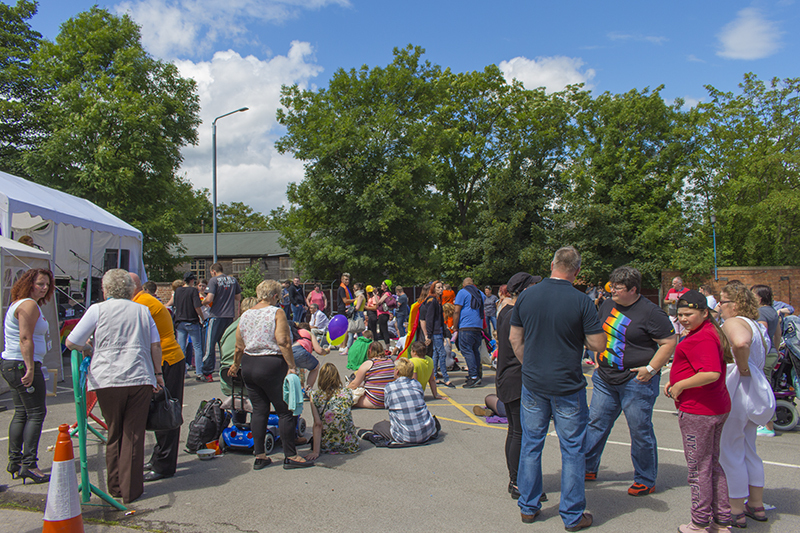 Held at Masonic Hall, Worksop Pride was thought to have attracted between 800-1000 people of all ages and backgrounds. A lot of work went into organising this outstanding event to ensure a variety of entertainment such live performances, raffles, games, a photo booth, dancing, food and drinks, face painting and much more. Communities Inc. set up a pop up hate crime reporting centre, to encourage people to report incidents of and also to raise the awareness about hate crime. We were very pleased to be part of this event and look forward to Worksop Pride 2017! Events like this are vital to recognising and celebrating difference and diversity in our communities.